Our range of products include walk in ovens, walk in dryer, industrial oven and curing oven. Using the best grade material, we are successfully manufacturing, exporting and supplying a wide gamut of Walk in Ovens. The offered ovens are stringently checked under the supervision of our skilled professionals against the exquisite parameters of quality to ensure the hassle free range to our clients. Used for dry sterilization of glassware in research laboratories, provided ovens are highly demanded in the market for its design, durability and excellent quality among our clients. 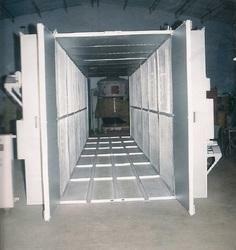 Walk-In Ovens are very versatile and are suitable for a wide range of Process Heating applications. 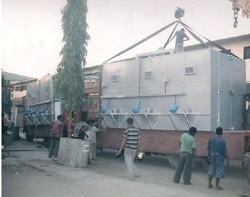 We have marked a distinct position in the market by providing excellent quality Walk in Dryer to the clients. This scrubber drier is manufactured using supreme class material in compliance with set industry norms. Also, this machine is tested on several quality parameters by our quality experts. This scrubber drier is available in different specifications and is offered at industry leading price as per the needs of clients. 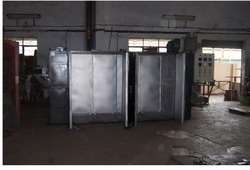 We are a notable manufacturer and supplier of an excellent quality range of Industrial Oven. The offered oven is designed by our experts in adherence with the international standards using premium quality components and advanced technology. 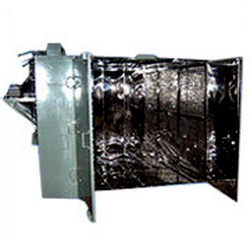 This oven is equipped with tabular heaters which ensure maximum heat transfer.